Here is a link to our CLOSED facebook page. We use this page as one of many forms of communications for students and parents. This is only open to our members and their families. If you happen to have a different last name of your student, please make sure you send me an email so I can accept you into the group. The perfection that is the Murrieta Mesa Performance Corps doesn't happen without a lot of hard work, and our students cannot do it all on their own. They need our support, both financially and physically, as they travel to distant performance venues; raise money to cover travel, music and coaching expenses; and prepare for each and every award winning performance. That's where the MER Booster Club comes into the equation. It is our job to provide the support our students need, whether it's helping to build field show props for next season's show, or leading a fundraising effort to offset travel and coaching costs. The students need our help, and we need your help. 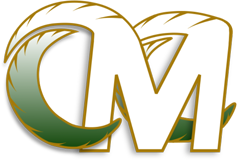 Murrieta Mesa High School is a four-year comprehensive high school that offers students an excellent 21st Century academic program that will allow students their choice of five college and career pathways, a well-rounded student activities program, and an competitive interscholastic athletic program. The school was named Murrieta Mesa High School because of its geographical location. With a view of the entire valley and the Santa Rosa mountains, Murrieta Mesa High School sits high on a mesa identified in an 1884 surveyor's map of the valley. MURRIETA VALLEY UNIFIED SCHOOL DISTRICT - Inspiring every student to think, to learn, to achieve, to care. Provide high standards and values in competition. Provide quality adjudication and rules for competition. Provide education to all Participants, Performers, Instructors and Adjudicators. Provide leadership and support services to aid in the growth of the activity.